Every year thousands of elephants are brutally killed for their ivory in Africa. Poachers often cut off the tusks of the elephants using axes and chainsaws, sometimes shooting them to death before taking the tusks. The ivory from the elephants is often used to create ornaments such as musical instruments and jewellery. The tusks are brought into the illicit international ivory trade where highly criminal organisations are in control of the market. Most of the demand for ivory comes from Asia, Europe and the US. The ivory trade is rapidly speeding up the destruction of the world’s elephant population. Wildlife organisation Born Free estimated that between 2010 and 2012 over 100,000 elephants were slaughtered, and the population continues to decrease to this day. 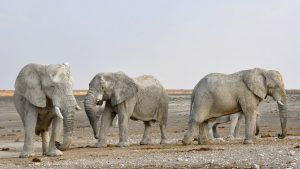 The International Union for Conservation of Nature (IUCN) estimated in 2016 that the overall elephant population in Africa was 415,000 – this may seem like a lot, but this apparently has been the worst decline in population in 25 years. The World Wildlife Fund (WWF) reported that the persistence of elephant poaching has reduced the population by 60%, and in Tanzania and Mozambique alone, 10,000 elephants on average were killed. 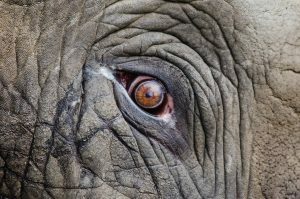 As a major international trade, it is difficult for most people to move away from ivory’s appeal and seek alternatives. Not only is the decrease of elephant population preventing tourists from entering Africa, but violent poachers are even willing to harm humans who oppose their actions. A WWF study showed that the African Tourism Sector has lost $25 million each year due to poaching. Although the ivory trade has a negative impact on tourism and its economy, the ivory market continues to exist because it has a higher value. The annual value of ivory from African elephants is estimated at $597 million. This has caused massive challenges for conservation and environmental groups who oppose the poaching of elephants. Regardless of how high the value of ivory is, it does not justify the mass killing of innocent elephants. We should take into consideration that elephants are living creatures who value their own lives and have the capacity to feel pain and pleasure. Various studies have shown that elephants are intelligent animals and could possibly compare to human intelligence. Amelia Meyer reported in 2015 that elephants are capable of expressing a broad range of emotions such as playfulness, joy, and grief. They also tend to have a sense of humour, and can mimic sounds and display self-awareness. One of the most notable abilities of elephants especially with regards to poaching is their ability to grieve and mourn the dead. Elephants who are deceased will be given a ceremony and have their respects paid by passing herds. Elephants are also very maternal: they know when they are in danger and will do anything to protect their young, especially from poachers. Moreover, poachers often burn the ivory when it has no value left, or to prevent others from taking it. The burning of the ivory creates toxic fumes that are released into the atmosphere. Elephants, on the other hand, help in sustaining the environment in the Savannah areas. During dry seasons they use their trunks to dig into the ground to drink water, this also benefits other animals in the Savannah as well. When elephants eat they create gaps in the vegetation and then they produce seeds from their excrement which helps to create plants and trees which helps to produce oxygen. So, it is not just the welfare of the elephants as to why we should care about ending the ivory trade but also the socio-economic and environmental impacts. The ivory trade promotes violence and corruption and seriously damages the environment. Next Next post: Scorn in the U.S.A.